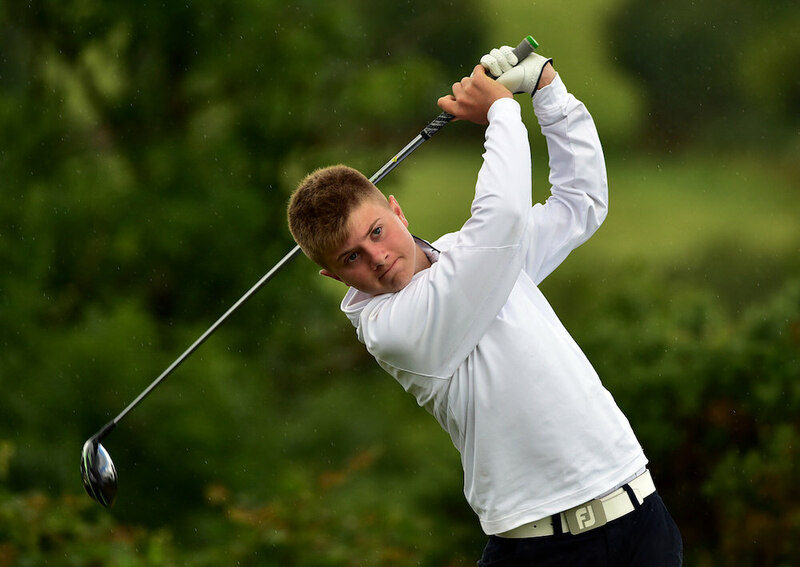 Josh Black is on track for a wire-to-wire win in the Irish U16 Boys Amateur Open Championship at Castle Dargan. The Lisburn talent added a joint best of the day 71 to his opening 70 to lead by four strokes on three-under-par from Seapoint’s Dylan Keating at the Sligo venue. Limerick’s Patrick Naughton had an eagle and four birdies in a 74 to sit alone in third on two-over, just five strokes off the lead. Bantry Bay’s Mel Deasy and Co Sligo’s Daniel Ford are seven back on four-over with Germany’s Wolfgang Glawe and Roganstown’s Joshua McCabe a shot further back in a tie for sixth. The cut for the top 50 and ties fell at 15-over 159 with 56 players qualifying for Friday’s final round. Co Meath Golf Club. Killeen Castle’s Daire Creavin shot a four under par of 69 to take a four shot lead into the third round of the Leinster Boys Amateur Open at Co. Meath.